The Rev. Edward Pinkney was rousted from his cell at 6 a.m. on Oct. 6 and hustled out of Lakeland Correctional Facility in Coldwater, Mich., with no prior notice to him, his spouse or his attorney. Pinkney has been incarcerated since February at Lakeland, a two-hour drive from his Benton Harbor, Mich., home. For two days no one had word from the reverend until his attorney, Tim Holloway, got confirmation that Pinkney was locked up in Marquette Branch Prison — 483 miles north of his home. from environmental, anti-racist and other movements. Benton Harbor sits on the eastern shore of Lake Michigan. It is an 89 percent majority African-American town on prime real estate coveted by the white racist, corporate elite of Berrien County. During a mass uprising against the police killing of an African-American youth in 2003, Rev. Pinkney led mass marches from Benton Harbor into mostly white, affluent St. Joseph across the river. One of the witnesses against him even asked while on the stand, “Am I going to get paid now?” Convicted on four felony counts, Pinkney was sentenced to a year of house arrest with a tether. In 2008, while still under house arrest, Pinkney wrote an article in which he quoted a part of the Old Testament that threatens the wrath of the Lord upon iniquitous judges and their descendants. The judge who presided over his frame-up called this a threat against him and his family and sent Pinkney to prison. It took a full year for an appeals court to overturn this outrageous imprisonment. 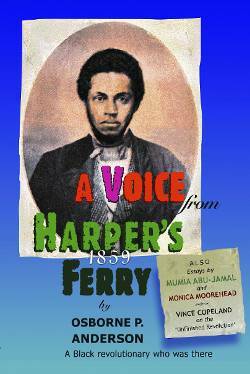 Pinkney remains the only minister to ever be jailed for quoting the Bible. In 2012, when public park land was seized and converted into a fancy golf course, Pinkney led a mass march right to the gates at the opening Professional Golf Association game. During a 2014 recall campaign headed by the reverend against Benton Harbor Mayor James Hightower, Pinkney was charged with five counts of forgery for allegedly having altered five dates on the recall petitions. A SWAT team was sent to arrest him at his home. His trial during October 2014 continued the persecution of this community leader. An all-white jury was seated to hear the case. Prosecutor Michael Sepic presented absolutely no evidence against Rev. Pinkney. The jury was told, after Judge Sterling Schrock allowed it, that “you don’t need evidence to convict Pinkney.” It was enough for this racist court that the reverend had spoken at press conferences, organized picket lines and chaired meetings that discussed the petition drive. On Dec. 14, Pinkney was sentenced from 2 1/2 years to 10 years in prison “as an example.” He has been in jail ever since. His request to be at Lakeland, which was honored until Oct. 6, had allowed his spouse Dorothy to visit on a regular basis. Many other supporters visited him and sent him mail, books and magazines. It could very well have been this strong support that caused the Department of Corrections to decide to ship Rev. Pinkney to the far north of Michigan’s Upper Peninsula, far from family and friends. In September, Pinkney’s request to the Michigan Court of Appeals for bond pending appeal was denied with no explanation. On Sept. 21, attorney Holloway filed his brief to the Court of Appeals citing numerous unconstitutional and other irregularities in Pinkney’s trial and conviction. 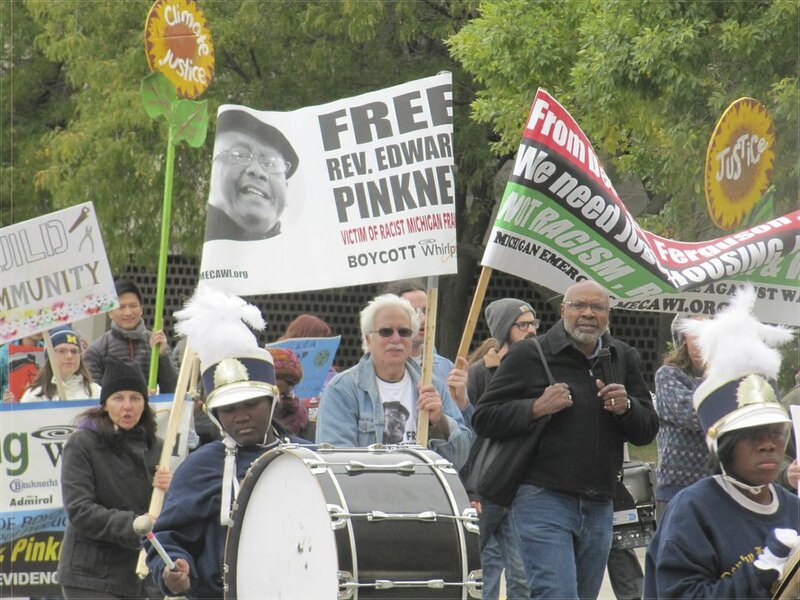 Supporters of the reverend are urging all those concerned with justice to call Director Heidi Washington of the Michigan Department of Corrections (517-241-7238) to demand that political prisoner Rev. Edward Pinkney #294671 be transferred back downstate, nearer to his loved ones and his attorney. Donations can be made at bhbanco.org via PayPal.